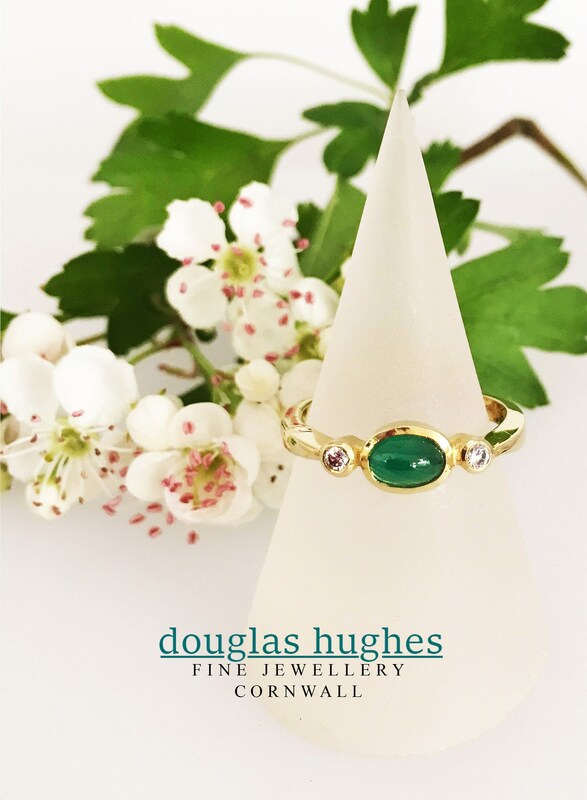 A Classically Designed Three Stone Ring - Douglas Hughes Design. 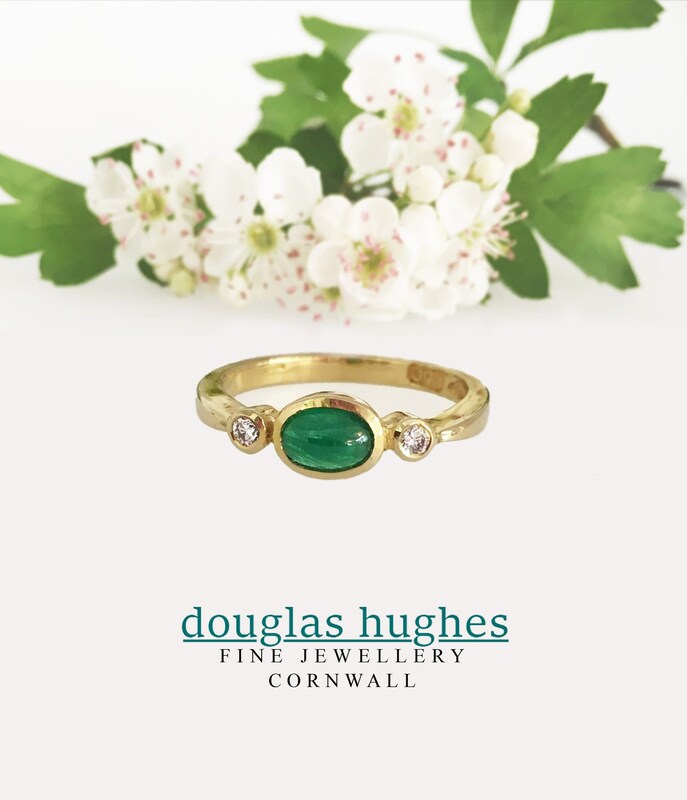 This Charming Ring is set with a Central 6x4 Fine Cabochon Emerald & 2 x 0.03ct. Round Brilliant Diamonds in a smooth run-over setting.